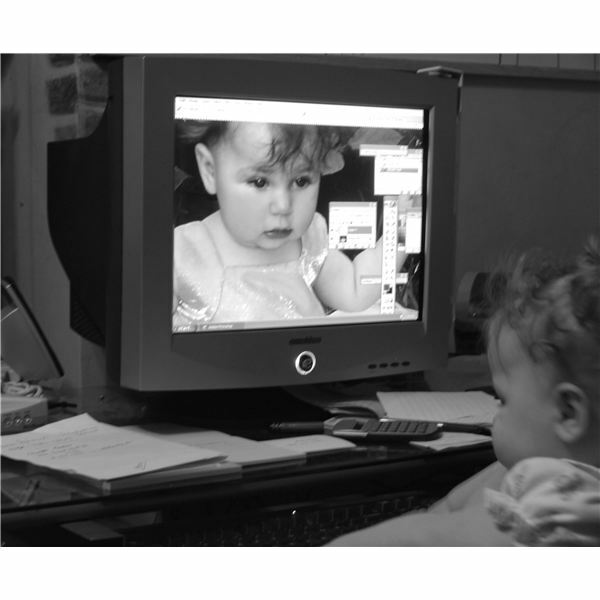 Online Teaching Tools for Toddlers: Click On for Fun! You may think that your toddler isn’t ready to learn to use the computer. On the contrary, there are several toddler-friendly websites that teach important basic computer skills such as mouse movement and pointing and clicking. These websites cater to toddlers, using bright colors and familiar characters to introduce letters and numbers, colors, songs and simple games as well as those increasingly important computer skills. Be sure to preview any online teaching tools for toddlers before letting them loose with the laptop. There are many websites aimed at entertaining and teaching toddlers, and you want to make sure that the games and activities presented are high quality and developmentally appropriate. Visit these websites with your toddler and help her learn the appropriate ways to point and click through the games and activities. Introduce safe surfing habits now, and these will carry over as she grows. This website offers you three choices on the opening page: Infant games, Toddler games, and Preschool games. Among the toddler games is the Little People “Who’s at the Door?” game, which encourages listening skills by giving toddlers a clue as to who is standing behind a door and then giving the child two choices to guess who is hiding. For example, the doorbell rings and a voice says “Who is it?”. Another voice answers “I work on the farm!” The first voice then says, “Who works on the farm? Click on the person that works on a farm!” Toddlers are then given a choice to click on a doctor or a farmer. This game stars some of your toddlers favorite Little People, making it an engaging learning activity for learning pointing and clicking as well as listening skills. Another game in the toddler list is Laugh and Learn, Learning About Opposites. This game introduces a concept, such as “up” and “down” by showing an object up high, and the same object down low. The screen then changes quickly and asks the toddler “Which one is up?”, prompting the child to point and click on the correct box showing “up”. This game may require adult help depending on the child’s ability to point and click. There are several other learning games on this website, including an alphabet matching game, a dress up activity, and simple puzzles. All of these games require a bit of expertise in pointing and clicking, which may take your toddlers some practice to perfect. Because of the wealth of information and activities on this site, toddlers will definitely need help navigating. Not only are there games, but songs, videos and an area where your toddler can choose games or activities based on their favorite Sesame Street character. So if you’re toddler is a Zoe fanatic and nothing but Zoe will do, you will not have to click all over to find the Zoe games as they are all in one place. Several of the games, such as Brushing Teeth and Elmo’s Potty Time, introduce toddlers to daily routines using their favorite Sesame characters. The games are searchable by subject, such as Alphabet, Feelings, Early Reading and Thinking Skills. They are also searchable by theme such as Food, Sports, Toys and Weather. This website is certainly worth a look-through without toddlers present. This will allow you to easily navigate to a game you know your toddlers will enjoy without making them wait for you to click through the whole site. The amount of activities available on this site is a bit overwhelming, but all are high quality and developmentally appropriate for toddlers. JacksonPollack.org is a mesmerizing site that only requires mouse movement to create beautiful abstract art. Move the mouse and see what you can create. Even the youngest toddlers will be able to use this site without difficulty. This a great site for toddlers to begin to see the correlation between moving the mouse and something happening on the computer screen. Clicking the mouse will change the color of your paintbrush, and pushing the spacebar will clear the screen so you can start all over again. Mix and Match is a game that can change the head, body or tail of an animal or creature to make silly combinations. Requiring very basic point and click skills, it is a good place to let your toddler practice his newly learned mousing abilities. The game is quite giggle-inducing, as the number of silly creations you can make is almost infinite. Starfall is a website widely used in the public schools to introduce pre-K and Kindergarten students to the alphabet. With adult help, toddlers can click on a letter block and hear a child pronounce it, as well as see the upper and lowercase versions of the letter. There is also an area for simple songs and games that toddlers may enjoy with adult supervision. Introducing toddlers to the computer is no easy task. These online teaching tools for toddlers make the job a little easier!